With its rustic gold finish, the Golden Age Wall Sculpture brings a hint of luxury to any living space's décor. 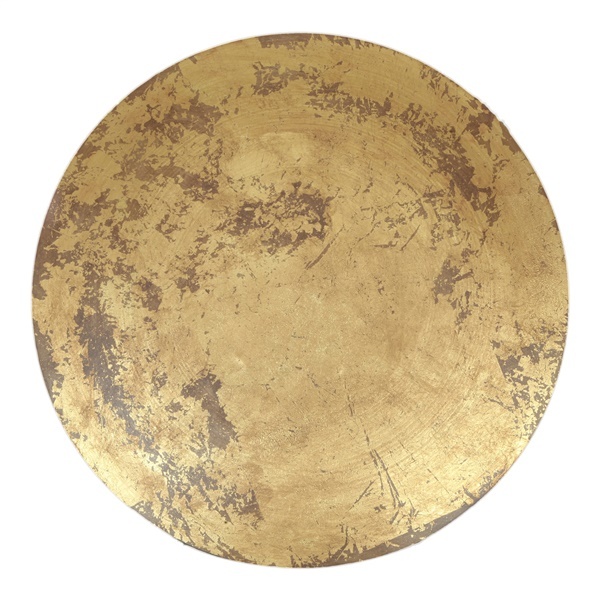 The wall sculpture boasts a Golden Age-inspired design and consists of a large disc. It also is easy to set up and is constructed from strong, durable iron for immense quality. Select a wall sculpture that will look great in a modern or retro setting with the Golden Age Wall Sculpture.